Musa Hlatshwayo was born and raised in Maphumulo in KwaZulu Natal In South Africa. He currently holds a BA Honours in Performance Studies:University of KwaZulu Natal (SA) – 2002, Dance & Choreography Diploma: Copenhagen School of Modern Dance (Denmark), Postgraduate Certificate in Dance In Education: UKZN (SA), a BA in Media and Comm: UKZN (SA). 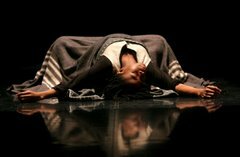 As a dancer Musa has appeared with all of Durban’s contemporary dance companies and has also worked with Lebohang Dance Theatre, First Physical Theatre Company as well as Moving Hands Theatre Company based in Birmingham in the UK. 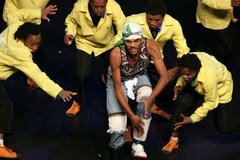 He is KZN Dancelink & Durban Dance Awards’ Best performer for the year 2004/ 5. 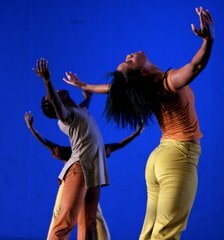 As a dance educator, Musa is involved as a one of KZN Dancelink and Cato Manor Vibe! !’s teachers and has also taught and coordinated Project Hheshe Nsizwa!! in Durban. He has also worked at the University of KwaZulu Natal’s Drama Department as a tutor in dance, drama and participatory theatre. As a choreographer his existing repertoire include, Ozelweyo- 2005, Umthombi – 2004, Imbokodo; The Tribe of She – 2004, An untitled performance piece with Clive van Den Berge’s Family Tree – 2003, Amashinga – 2003, Abakhwetha – 2002. His recent achievements as a choreographer include being selected twice to participate in AFAA’s choreographic encounters in Madagascar and Paris, a nomination for the National Arts Festival’s Standard Bank’s Young Choreographers for 2005/6, 2005’s KZN Dance link and Durban Dance Awards’ Choreography of the Year nomination for ‘Umthombi’.